Recolor Android Mobile App is an ultimate app to rediscover the simple relaxation and joy of coloring! This offers you to color creatively. It improves creativity. It is a way to step back from the stress of everyday life. 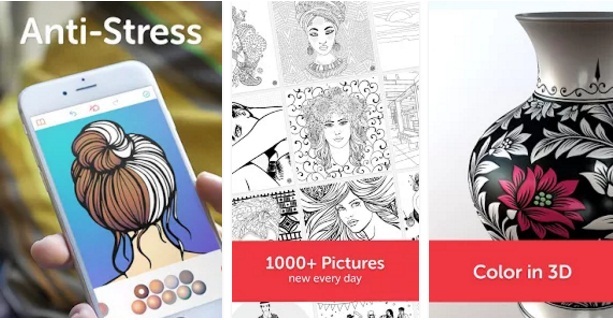 Then, Recolor has over 1500 unique coloring pictures and introduces new pictures EVERY DAY. They have different levels from beginners to expert-level, the pictures feature Portraits, Mandalas, Animals, Flowers, Ornate, Mortes, etc.